I answer questions about red hair on an almost daily basis. I typically resist the urge to go into a full-fledged genetics lesson in a restaurant or aisle of target. And sometimes when I am in a particularly bad mood I resist the urge to say "I ate a lot of carrots when I was pregnant." 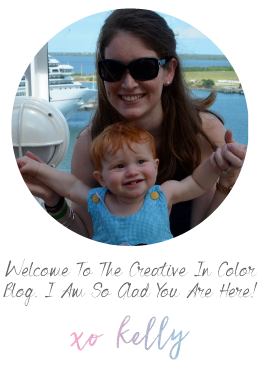 But in case you have been curious as to the real answer to “where the red hair came from,” this post is for you. The genetics of hair color, like so many human traits, is complicated and controlled by lots and lots of factors, many of which lie in our genetic makeup (and some of which lie in the bottle of hair dye sitting on the bathroom counter). Red hair is the exception to that rule and is pretty close to being a simple exercise in recessive inheritance (think Mendel and his peas). Human hair color is determined by the type and amount of pigment found in our hair. There are two types of pigments: eumelanin and pheomelanin. Eumelanin produces a pigment color that ranges from blonde (in small quantities) to black (in large quantities). Meanwhile pheomelanin produces a red pigment. The more pheomelanin = more red hair. So a person with blond hair would have little eumelanin and no pheomelanin, while a person with strawberry blonde hair would have a little of both. A person with black hair would have lots of eumelanin and little to no pheomelanin. A person with classic, very red hair has little to no eumelanin and lots of pheomelanin. And on and on. What determines the type and amount of pigment in your hair? Your genes of course. One of those genes is the MC1R gene. The MC1R gene contains the instructions for the melanocortin 1 receptor protein. When working typically, MC1R’s job in the body is to convert pheomelanin (red pigment) into eumelanin (blonde to black pigment). Below is a super complicated diagram of how the MC1R protein works. The part to focus in on is the MC1R protein is show in the middle in purple. 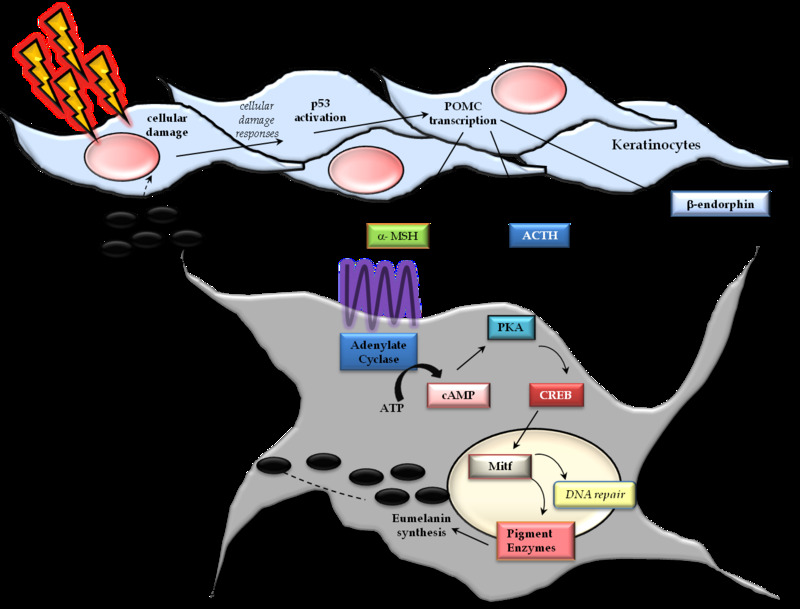 It is a receptor protein that sits on the outside of a melanocyte cell. Then you will see a series of arrows showing how it helps control a (complicated) process that ultimately creates/synthesizes eumelanin. Red hair occurs when this process is interrupted and pheomelanin does not convert to eumelanin resulting in a buildup of pheomelanin (red pigment) in the body causing very red hair. A very common explanation for a person having red hair is that both copies of their MC1R gene (the one from their mom and dad) have a genetic variant (aka mutation) that makes the gene and resulting protein not work properly and pheomelanin to build up. To have that classic, very red hair phenotype both copies of the gene have to be mutated. People with one copy of a MC1R mutation are considered carriers. They may have some red tint in their hair, be fair skinned and freckle but typically do not have red hair. Red hair caused by MC1R mutations is inherited in a recessive pattern. Here is what that means if both parents are carriers with one working and one non-working copy of MC1R: Each parent will pass on one copy of MC1R to each child (either the working one or the non-working one). Therefore statistically speaking the chance that both parents pass on the non-working gene copy (and having a red head) is 1 in 4 or 25%. The chance of having a child who is a carrier of a single mutation is 50% and there is a ¼ or 25% chance of having a child that has no copies of a MC1R mutation. Andrew and I had no idea we are most likely carriers of an MC1R mutation until the day Perry was born. It is not a total shock as you look up the family tree and see red headed people on both sides of our family, but sometimes a red-headed child is born into a family with no known red-heads…because it is only possible to have a red-headed child if both partners are carriers of at least one MC1R mutation…and even then the chance of read-headedness is just ¼. So Perry beat the odds. And if we decide to have another child (someday) there is a ¼ chance he/she will be redheaded too. And just like that this genetic counselor mama has her own real-life example of recessive inheritance and the fact that mutations and genetic variation are not intrinsically a bad thing. 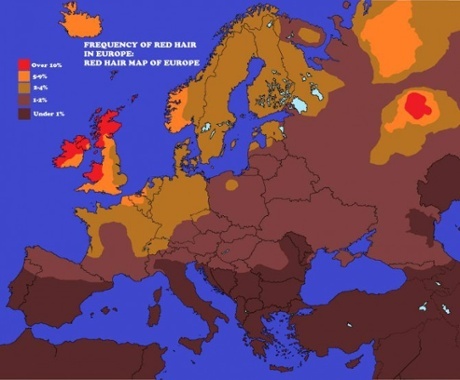 The MC1R variants associated with red hair are common in people of northern European ethnicity. For example in Scotland more than 10% of the population are redheads. If you want to see a population of redheads even denser than Scotland on a normal day, head over to the Netherlands on the first weekend in September where a two-day festival takes place celebrating redheads and the color red. And that is the extent of my knowledge on the event…it makes for some interesting photos and news stories though…google it if interested.